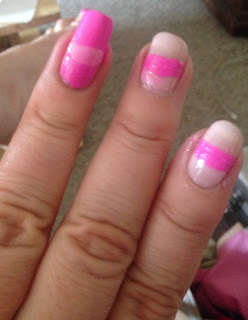 Apply a base coat and a base color – I used a light pink. 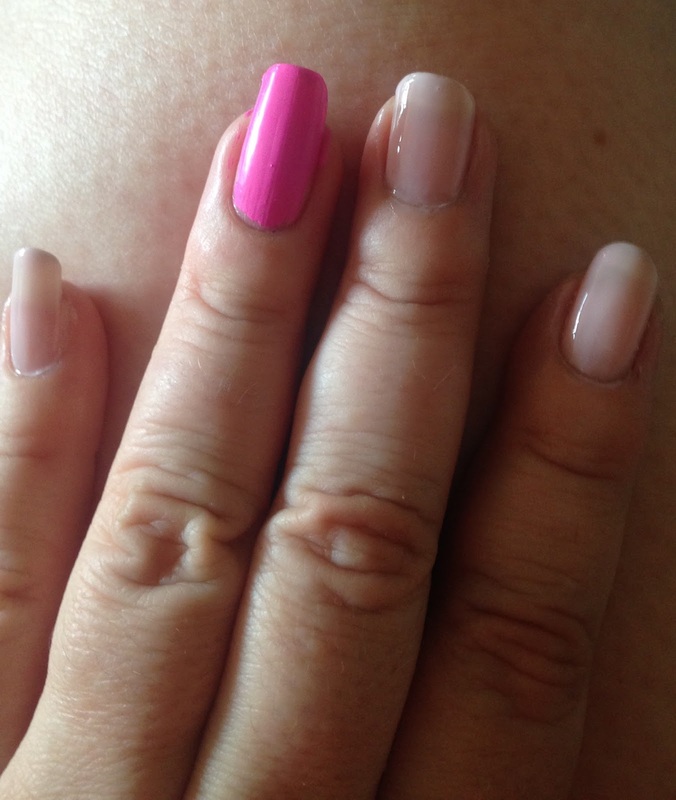 -Using a striping brush or toothpick, make a thick stripe across the nail in a darker color; I like to have mine a little off Centre. - Using a dotting tool dipped in the base color, make small dots in the stripes. 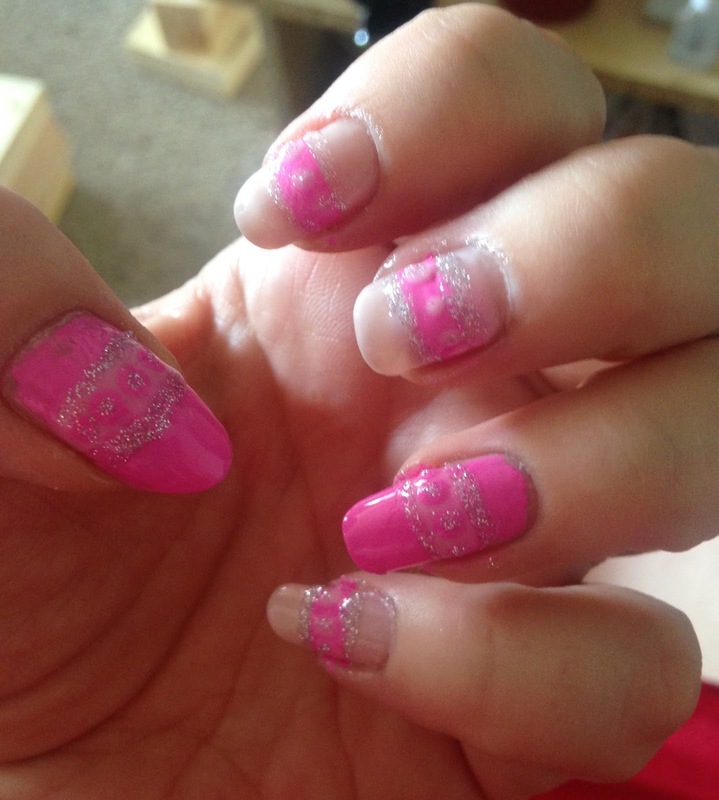 - (Optional) Apply a glitter polish to the lines of the stripes; add glitter on the dots and/ or the tips of the nail. - Apply a fast drying top coat and you are ready! Show some love! Please Tweet, click the Google +1 or Facebook LIKE buttons below!